We chase after never lasting pleasures to fulfill ourselves. 'Society' is immersed in the virtual world and each is happy to live in their own world. We have reached the lowest point along this road. Hatred, divisiveness, conflict, extreme political movements are pushing us to the edge of an abyss. The band-aid fixes are unravelling, institutions are malfunctioning, revenge from confusion is becoming the norm. Nobody knows what to do anymore! We are in times that demand us to exit this world. Learn how to exit your self, your ego. This is the most difficult move - to shift out of your self. Learn how to connect your hearts to others who choose this path to discover the Higher Reality. You will fall back into yourself only to force you to rise to a higher level. Notice that this is under the section titled "Yom Kippur Medidations". 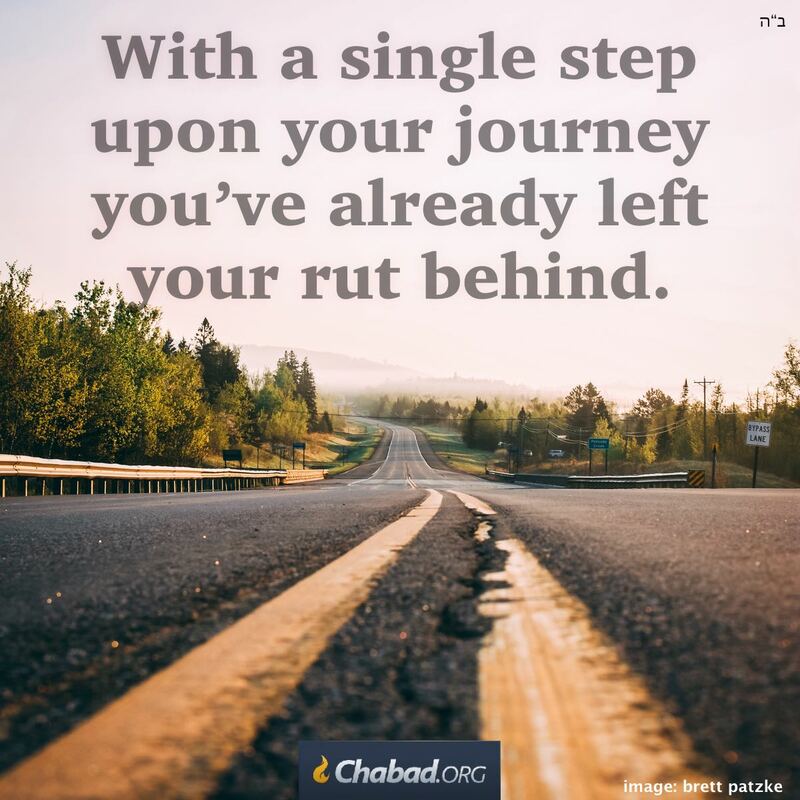 IOW the meditation is relevant to the teshuva/repentance thoughts congruent with Yom Kippur. Luciana,Ro Every ''daily dose of wisdom'' is my daily dose of keep going ,geting out of ''there'', strenghtening my beliefs. Hit the Road I like this ... a wonderful message for someone who might be procrastinating, stuck in a place of fear, or is so focused on the goal that the steps to reach that goal are forgotten. At a very pragmatic level, I always get a little meshugah during tax season. It is very easy to focus on April 15 when it is over, but that does not get returns completed. It is easy to do a return, another goal, but there are a lot of steps to even complete one return ... all those steps have to be repeated with each client. The whole process requires constant motion.